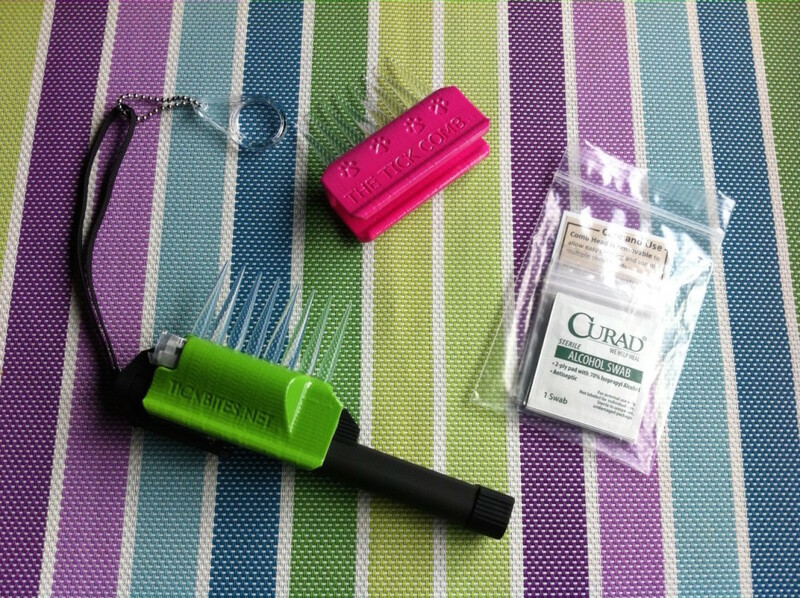 Illuminated Tick Comb Review - Detects Ticks on Pets and People Fast! Illuminated Tick Comb Review – Detects Ticks on Pets and People Fast! 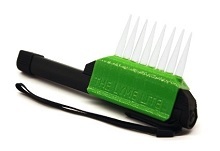 The Tick Comb Illuminated Comb is a reliable tool for detecting ticks on pets and people. If you live in a wooded/grassy area that is known for ticks carrying the Lyme disease organism, then this cost effective tool of tick detection is a must have for you. Here is a great place to buy the Tick Comb Illuminated Comb. The Tick Comb Illuminated Comb has a high intensity LED light (60 Lumen flashlight) that is encased in a BPA free acrylic comb with a convenient lanyard. The non-irritating teeth of the comb can be run through the scalp of humans beings and animals alike, safely and effectively,to detect not just ticks, but other parasitic critters like lice, nits, mites, fleas etc. The light illuminates these blood sucking parasites quickly and efficiently so you can quickly pull them out to prevent many potential health problems in both humans and pets. Unlike regular flea or tick combs, the Tick Comb Illuminated Comb is easily detachable and can be cleaned to remove the trapped debris left behind by the parasites and even stray hair. This makes it particularly effective for use on pets having thick dense fur. The product is also manufactured in the United States- (it is 3-D printed in Virginia) and that is amazing considering the fact that we can hardly say that about many products these days. This guarantees that the materials used in its manufacture are non toxic, safe and hypoallergenic –and can be used on the most sensitive of skins. You can safely use the Tick Comb Illuminated Comb on small breed dogs/pups and cats/kittens as well as on babies and toddlers. Especially recommended to people living in high tick prone and Lyme disease prone areas. Portable to be used anywhere, at home or abroad. 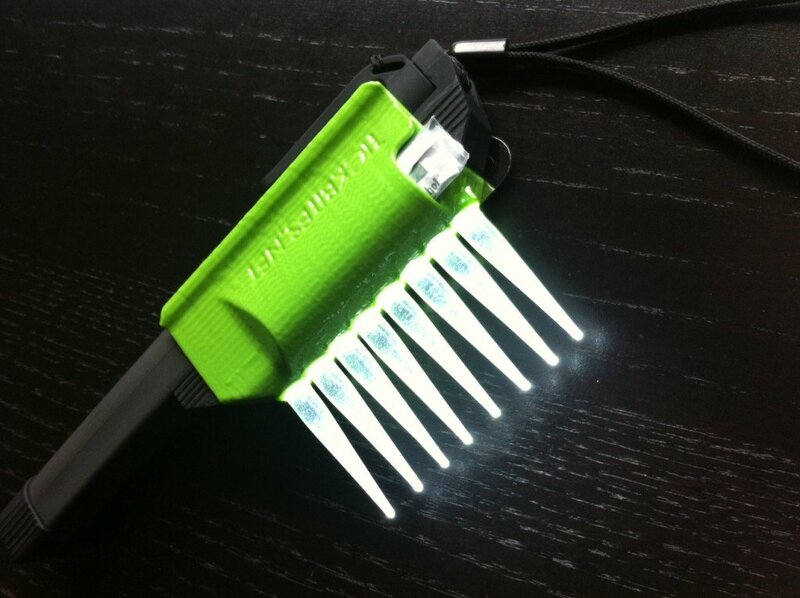 Click here to buy the Tick Comb Illuminated Comb. 5-Star rated product on Amazon! The Tick Comb Illuminated Comb may have few reviews compared to other products in its genre. That being said; the Tick Comb Illuminated Comb is the highest rated in this category of tick detection tools and has been given high marks by 100% of the users. The Tick Comb Illuminated Comb has been designed and created by a team of engineers, scientists and explorers with one aim in mind: to protect humanity and its loyal companions from debilitating effects of ticks and other blood thirsty parasites. “A well thought of and well designed product”.. The Tick Comb Illuminated Comb has no shortcomings- it is perfect in every way! If you do not wish to use chemical means of preventing tick-bite related disorders, then the Tick Comb Illuminated Comb is the best tool for you. It may be relatively new in the market, but we are sure it is going to gather momentum. Pet owners are changing the way they are caring for their pets- more and more people are turning to natural, safer and non toxic methods of detecting and preventing ticks that harm them and their pets. Finding ticks can be hard. Left undetected they can wreak havoc in you and your pets. Not anymore! Click here to buy the safest tool for detecting ticks effectively and safely. If a tick has been engorged and infects with Lyme or other diseases it will often take some time for tests to show accurately in the person or pet. Also a bullseye rash is not always present. In the meantime many choose to do nothing, take broad antibiotics or to test the tick itself for the disease. The Tick Comb Illuminated Comb Kit versions include a little bag inside the comb to transport an engorged tick to a doctors office or lab for testing. In many cases, heavy antibiotics are to be avoided without confirmed threat. 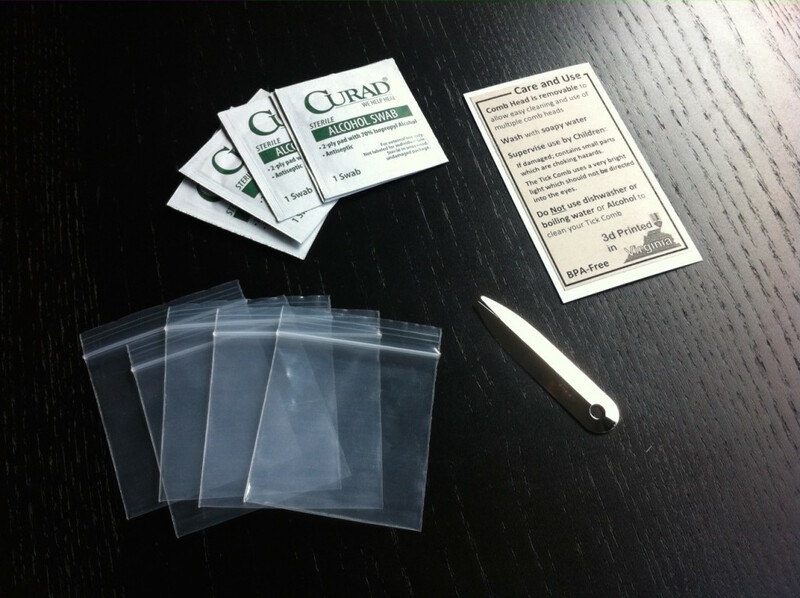 Testing the tick itself is an important method for fighting Lyme and other tick borne diseases. The kit versions also include an alcohol swab for cleaning the wound after removal and cleaning of removal tool with used wipes remaining alcohol (still wash both remover and comb clip in soapy water after use when possible). The Tick Comb Illuminated Comb is a top notch, well designed and heavy duty product that can be used safely on kids, toddlers, puppies, kittens as well as adult humans and pets for tick detection. Tick bite related diseases have terrible, debilitating consequences- the effects can last ages and antibiotics often fail in providing long term relief. Hence, people, and pet owners in tick prone woody areas must use tools and preventive methods to find and eliminate ticks. This is the only way of preventing potential complications. Use the Tick Comb Illuminated Comb after every hiking/camping expedition. The light is so powerful that you can see these sneaky, pesky critters easily even in the densest of coats. Children also love the Tick Comb Illuminated Comb as they no longer have to sit still for hours while their parents try and pick lice or ticks off their hair. In fact, users have found to their surprise that their children get excited about tick checks and the chance to use the fun looking flashlight comb. The Tick Comb Illuminated Comb makes detection of these tiny critters a simple, fast and hassle free process.